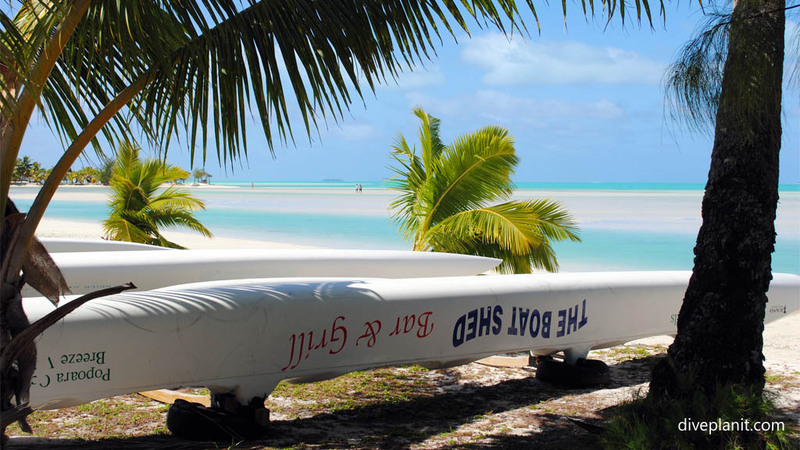 Aitutaki has both fringing hard coral reef and shallow sandy lagoon, so has great scenic reef diving and family-friendly snorkelling all within a short boat ride from shore. Aitutaki is the second most visited island on the Cook Islands, but differs markedly from Rarotonga, in that the water is in the middle! Its main island and 15 motu (islets) are scattered around the edge of a triangular shaped lagoon. 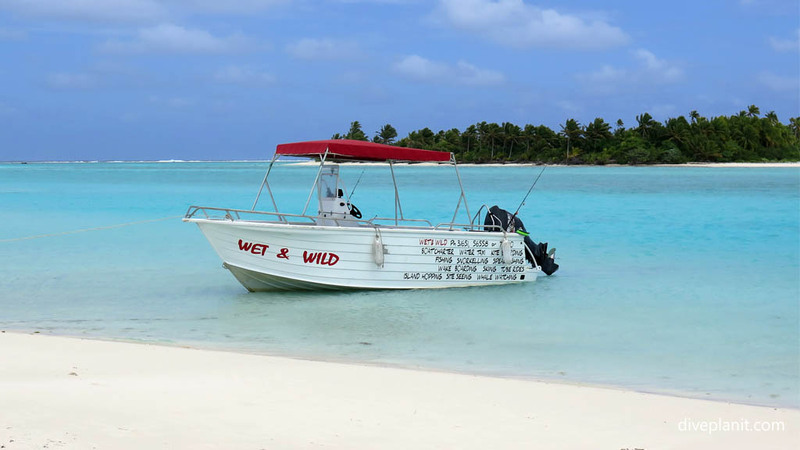 Diving is available on the fringing reef that surrounds the lagoon, whilst excellent snorkelling is to be had in the lagoon around the motus where there are numerous coral heads. 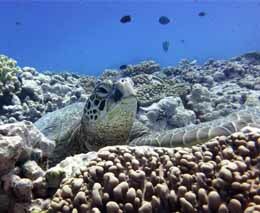 Snorkelling is also possible on the north west coast between the main island and the reef. The best area is around the end of the old runway. 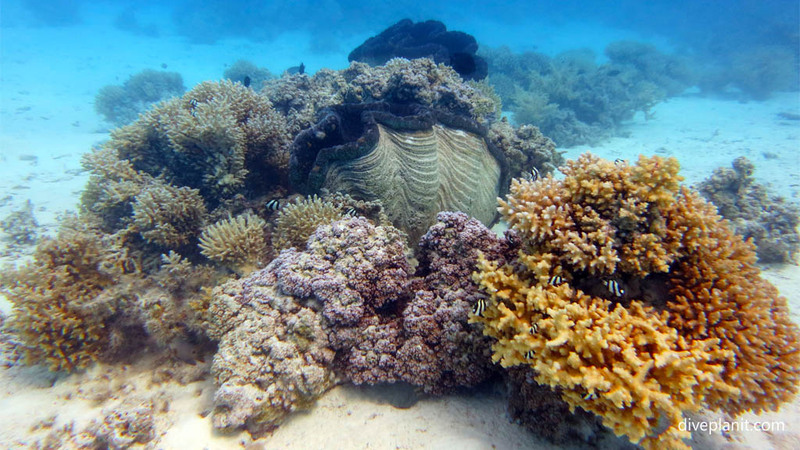 The diving outside the reef in Aitutaki is similar to Rarotonga in that the corals are all hard corals, which make for impressive, and often stark looking, marine scapes with excellent visibility. 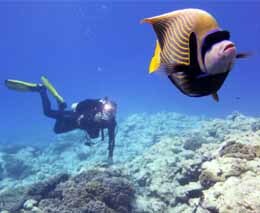 There are plenty of the larger reef fish: unicorns, parrotfish and Napoleon Wrasse, but also turtles, white tipped reef sharks and often eagle rays. 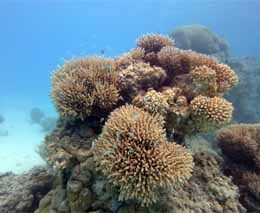 Here is a short video which illustrates the terrain and type of diving from the best dive sites in Aitutaki. 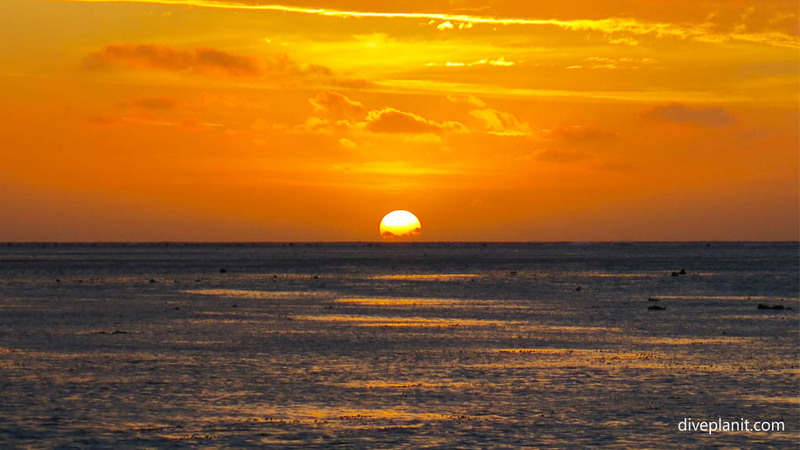 Aitutaki is about 3 days sailing, or just 45 minutes flying time, north of Rarotonga. There is only one dive operator on Aitutaki, and that is Bubbles Below run by Onu Hewitt – an NZQA accredited diving instructor. 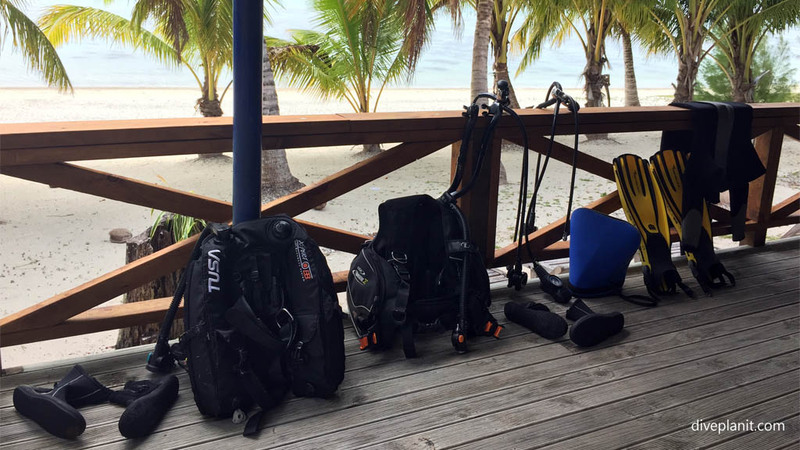 Bubbles has all the gear you need and knows all the best places to go to get the best of diving Aitutaki whichever way the wind might be blowing. 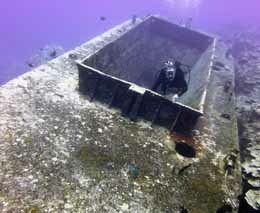 The dive sites are on the outside of the fringing hard coral reefs. Various gullies, channels and swim throughs makes each of the sites slightly different, and the fact that the coral is largely hard coating coral, almost guarantees really high viz – like 30-40m. Should a squadron of eagle rays fly passed in the blue, you will still get a good view of them. 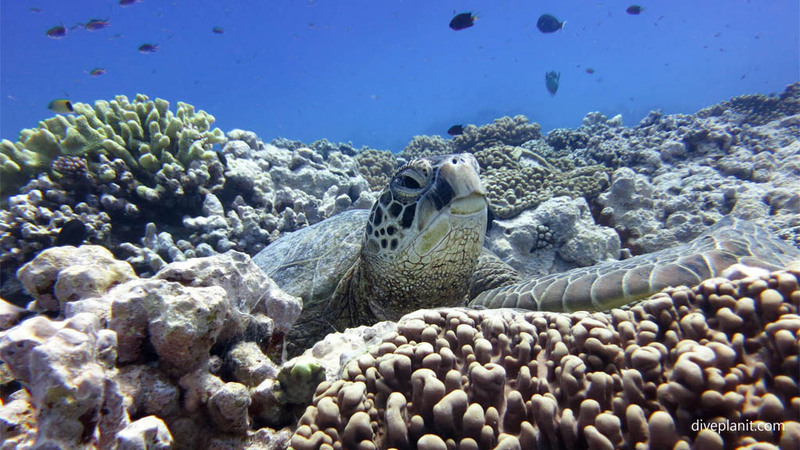 The fauna to be encountered is linked to the terrain: caves and ledges near flat sandy bottoms might yield a white tipped reef shark or two, beds of branching coral – a turtle – which is a common sight. There are many individually owned bungalows dotted amongst the palms on the north west coast. Most with their veranda right on the beach front. These make ideal accommodation for small groups, or families. They also have the advantage of offering self-catering facilities so that you can cook out in the evenings instead of eating out to keep costs low. A perfect example of this kind of accommodation is the Aretai Beach Villas. The spacious villas sleep up to six, have large open plan kitchen lounge areas and a big veranda to park all that wet gear on. Being right on the ocean it’ll be dry in no time. They also have their own Wifi (– and you can even access the Wifi from Puffy’s next door as a back-up!). Puffy’s makes a reasonably priced alternative to dining in, and as a bonus, has bikes for hire. There is more accommodation on the end of the land spit that houses the runway. If you prefer to dine out, these make a good option due to their proximity to three local eateries. 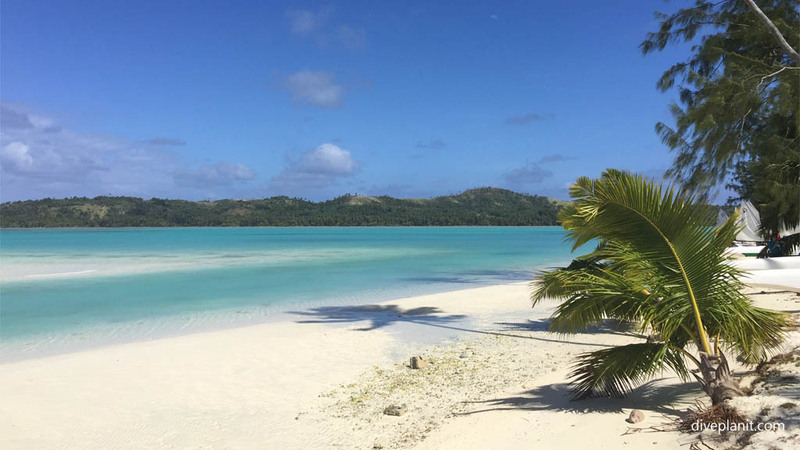 There are two Five Star options on Aitutaki, the Pacific Resort Aitutaki, located tranquilly on the western coast, and the Aitutaki Lagoon Resort and Spa located on its own little motu on the north east corner. 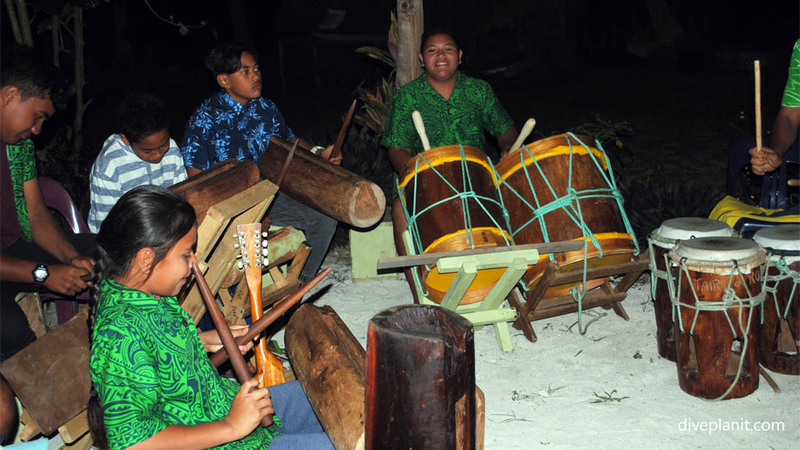 There are restaurants around the island, and some of the resorts also have weekly feast and show evenings. The shows are amazing: drummers and dancers of all ages and often, the guests get to join in. An evening being entertained by the locals is not to be missed. Up by the end of the runway, there are three eateries including: the Koru Café – where you can enjoy the best coffee for miles around; the Boatshed Bar & Grill who offer a simple all-day menu and a la carte dinners; and the Flying Boat Beach Bar and Grill. If you are planning a one-off special occasion dinner whilst on the island, the 5 Star Pacific Resort Aitutaki also welcomes casual diners. Though the island is small and friendly, and the tour operators will collect you and drop you for your excursion, to get from the township centre up to Ootu Beach, for example, is still a 10km trip. So if you’re staying a few days and especially if you are self-catering, some transport is a must. 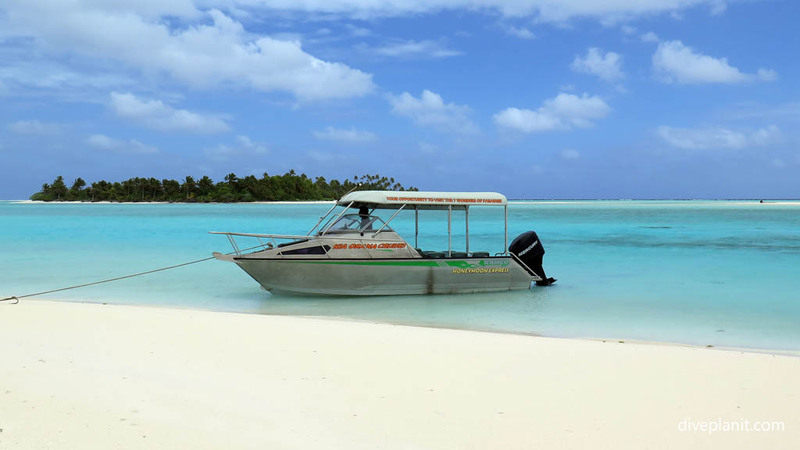 A day trip on the lagoon is possibly how many experience Aitutaki, as this can even be done as a day trip from Rarotonga. 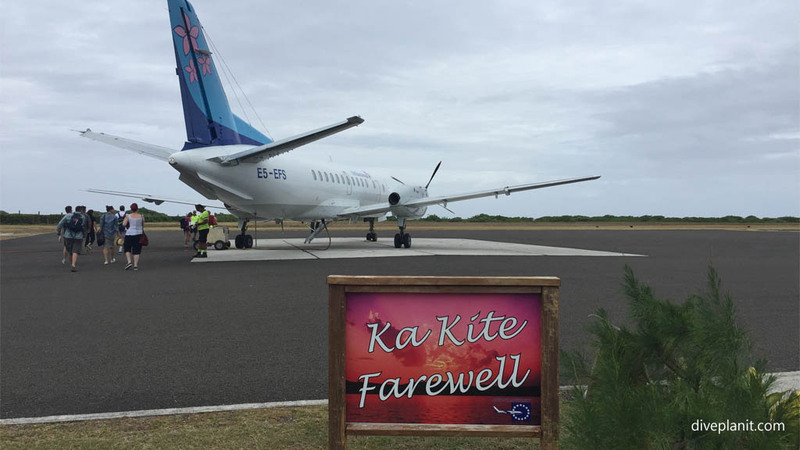 The first domestic flight from Rarotonga arrives in time for guests to join a day cruise, and the last flight will get them back to Raro. A number of boats, both big and small offer the cruise, and my preference is always for the smaller group. 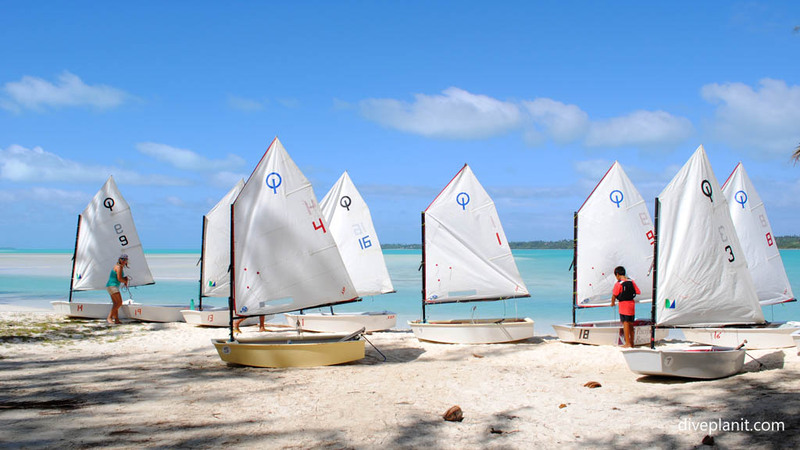 Kia Orana Cruise offer the Seven Wonders of Paradise cruise from 9.30 to 3.30pm with lunch included. The day trip takes you and a handful of guests on a leasurely swim, snorkel, cruise and walkabout around the lagoon visiting a number of the motu. Each one has its own historic story told entertainingly by Captain Fantastic (Andrew Katu). Contact Andrew at Kia Orana Cruise on +682 31 442 or via the website. For more things involving a power boat and the ocean check out Wet & Wild. Everything from private sight-seeing and snorkelling trips, to wakeboarding and kite surfing. They also have some little skiffs for kids to learn to sail in. 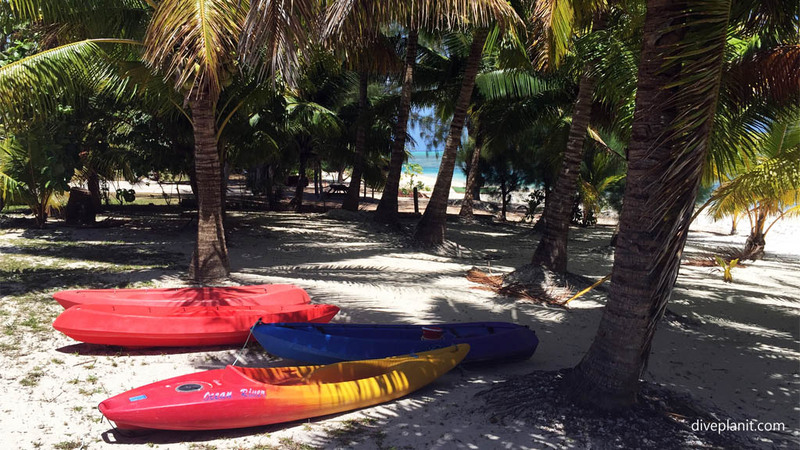 Most accommodations have kayaks to paddle about in, and Stand Up Paddle boards are also becoming widely available to hire. The Aitutaki Marine Research Centre is also worth an hour of your time. 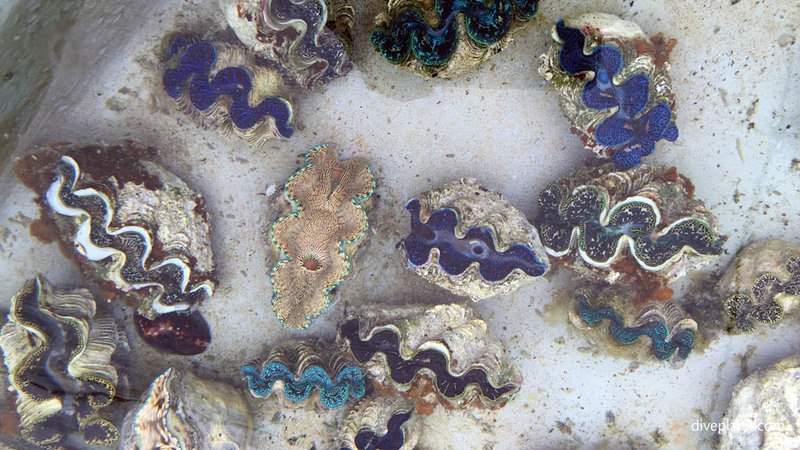 They have a number of research projects including growing giant clams that are later moved to the lagoon. Open weekdays on the top of the island. 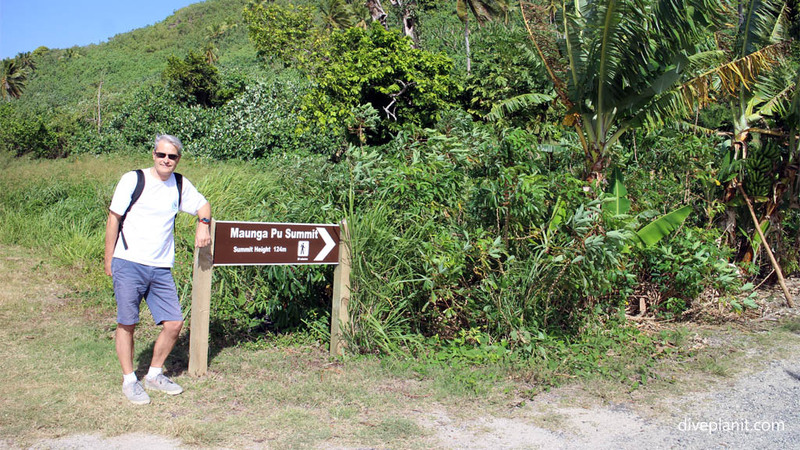 Mad dogs and Englishmen will be tempted to climb to the summit of Maunga Pu, the highest point of Aitutaki at 12,400 cm for the spectacular 360° views over lagoon and ocean – particularly at midday. Others might prefer perusing the local arts and crafts scene at that time with a visit to T&S Artworx or the Koru Café. One thing that you must do at some point during your stay on Aitutaki is climb into a hammock, or lie on a beach lounger, stare into the azure of the lagoon and relax a while. 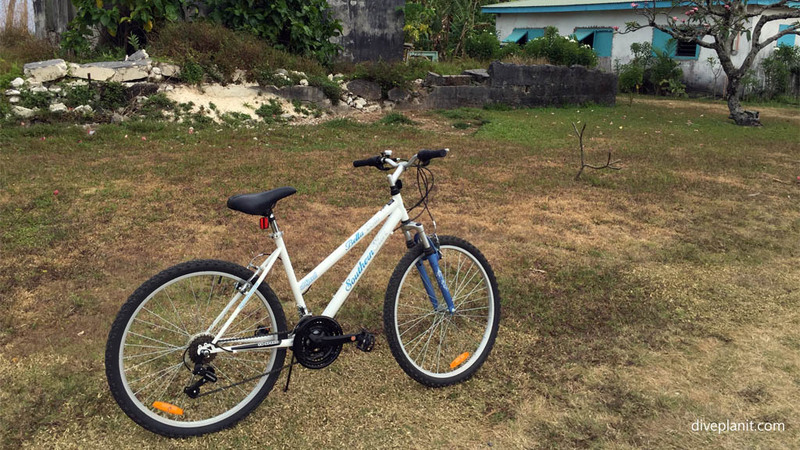 There are daily scheduled flights with Air Rarotonga. 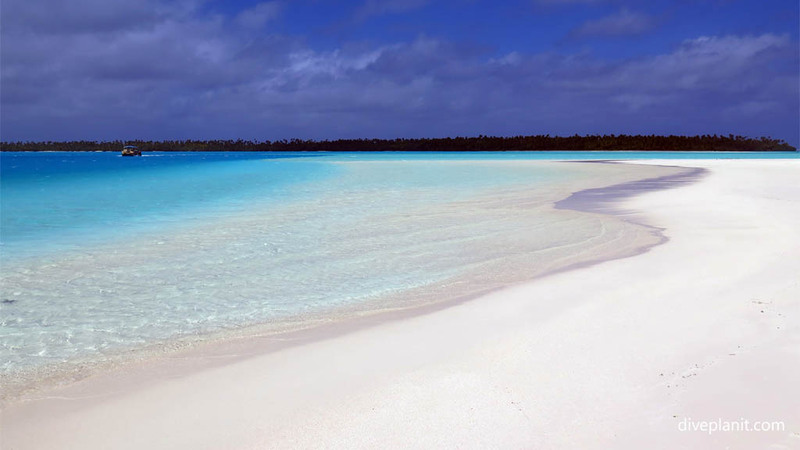 The schedules are arranged to connect with international flights, and it is possible to visit Aitutaki as a day trip – but obviously not a diving one. Though, a full day’s snorkelling around the smaller islands of the lagoon with a day trip like Kia Orana Cruise’s Seven Wonders of Paradise cruise would be the next best thing. Make sure you enjoy one evening of traditional drumming and dancing.